People say the protest song is dead, yet today it seems like we have as much to protest about as there was in the 60s and 70s. The Taureg people, a nomadic part of the Berber population of North Africa, have more to protest about than most, after recent events in their history of rebellions and fighting for their own land. This year, Taureg fighters returning from fighting on both sides of the Libyan revolution helped to stage the latest offensive, taking control of an area of Mali and claiming its independence as the state of Aswad, only to be expelled by Islamist groups that had originally helped them. The development of this territory and these settlements is a personal and collective duty for all of us. No one will work for the preservation of our land if we do not do it ourselves. That was written before the recent events, so it seems like this is going to be an act with a lot to say. 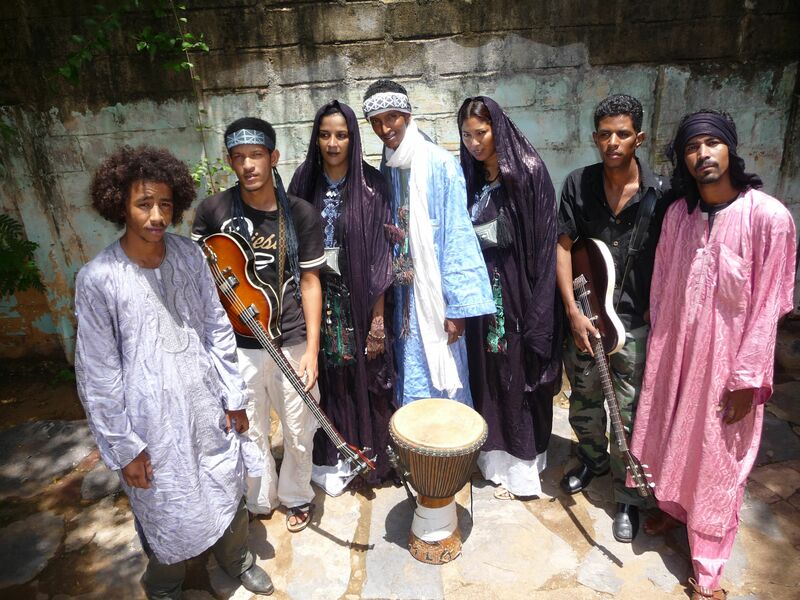 How they say it is through a euphoric combination of African rhythms and Middle Eastern harmonies. As jazz trumpeter Winton Marsalis said recently, people in the west seem to think that African music provides rhythm whereas western music provides harmony and melody, and it's not really like that. Tamikrest blend Warm electric guitar riffs with soaring pentatonic vocals to create the sound of the desert that the Taureg people love so deeply. Perhaps the people who feel that African music is all rhythm are the same who say the protest song is dead. These people should head to the Wastelands stage for the Friday night of Flow Festival and see what they're missing out on.